Browsing the Debenhams website for my Grandmama's birthday present like a true addict does to the beauty department. (You just wouldn't believe the headache I experienced with Debenhams online) Currently with discounts nothing was catching my eye, not even the 'Well it is half price, might aswell' eye. 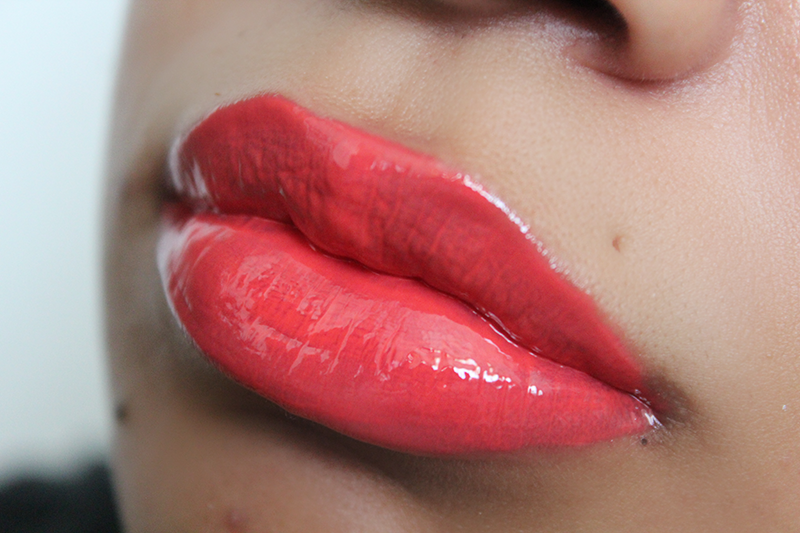 That's until I saw Illamasqua Intense Lipgloss - Mistress. I do own a few orange / coral lipsticks and even mix up a few too but none in a lipgloss. Arrives nearly a week after dispatch and as soon as I slide it out the packaging.....'Whoa!' & cue grin. I took this picture with a flash and can see quite a resemblance to the online swatch (flash even gives me colour lol ) Below was taken by natural light. Where I can see more of the orange undertone coral. Tell you the bonus about these not only can the intensity be built up but they aren't STICKY!! Ahh love. There's still some going in the Debenhams final Summer clearance. Wow, that is such a beautiful colour! I used to have one of the Illamasqua lip glosses but I lost it before I even got to use it! Humpf! Gorgeous colour! I wish I could get away with such bold colour! OMG your lippies are sooooo kissable!!! is that ok that I'm saying that and i'm a girl haha?!! 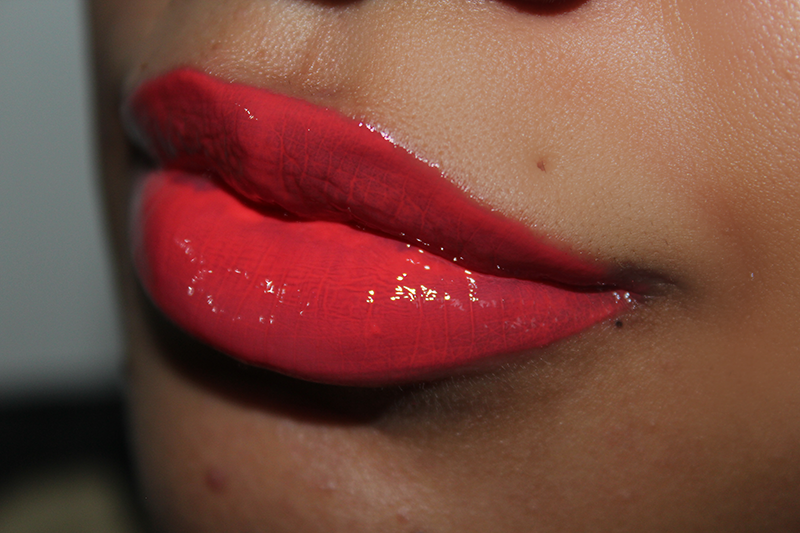 LOve this color darling, it is simply JUICY!!! P. S. your new logo/portrait are soooo coool!!! Love it!! !